"Versteht sich, dass praktisch jeder Ton „saß“, dass mit Flügelhorn und Piccolotrompete Zusatzregistrierungen erzeugt wurden, und dass trotz Daueraktion in technischen Grenzbereichen das Klangpanorama stets seine „Fassung“ bewahrte." Ms. Fessler’s arrangement of the adagio from Rodrigo’s Concierto de Aranjuez, with Fessler herself as the soloist. Her work was again both beautiful and technically impressive." Die junge Trompeterin Elisabeth Fessler führte sich mit einer Bläser-Adaption der berühmten Arie der Königin der Nacht aus Mozarts „Zauberflöte“ ein und glänzte mit strahlenden Koloraturen sowie perlenden Triolen. "Wer glaubte, die Arie der Königin der Nacht aus Mozarts „Zauberflöte“ könne nur von einer Koloratursopranistin interpretiert werden, wurde von Fessler eines Besseren belehrt: Ihre Trompete „sang“ überzeugend von „der Hölle Rache“. Der Beifall ließ nicht auf sich warten." "There was a great deal to enjoy in their concert, which began with a dazzling performance of one of the allegro movements from Vivaldi’s Concerto for Two Trumpets (RV 357), in an arrangement by Hans Zellner. Zellner and Fessler were the excellent soloists, both playing piccolo trumpets." "Hier zeigte sich Elisabeth Fessler in Bestform und legte viel Gefühl in ihr Trompetenspiel, das verführerisch und locker leicht daherkam und damit die Ohrwurmqualität des Songs auf die Spitze trieb." "Elisabeth Fessler, die (...) gleich zu Beginn des Abends im Concerto in D von Giuseppe Torelli als Solistin glänzen durfte." "At the time of this concert, the four men in the ensemble ranged in age from 39 to 50, while the one woman, the brilliant trumpeter Elisabeth Fessler is a mere 28." „Gänsehaut“ bei Joaquin Rodrigos „Concierto de Aranjuez"
Elisabeth Fessler earned degrees in Trumpet Performance while studying with Professor Wolfgang Guggenberger, and Baroque Trumpet with Professor Patrick Henrichs. Additionally she absorbed important musical influences from Reinhold Friedrich, Solo Trumpet with Frankfurt Radio Orchestra and Professor at Hochschule fur Musik Karlsruhe, Gábor Tarkövi, Principal Trumpet with the Berlin Philharmonic, Kristian Steenstrup, Professor at Royal Academy of Music in Aarhus, Denmark, Klaus Schuhwerk, Professor at Academy of Music in Basel, and University of Music and performing Arts in Frankfurt, and Frits Damrow, Professor at University of the Arts in Zurich. 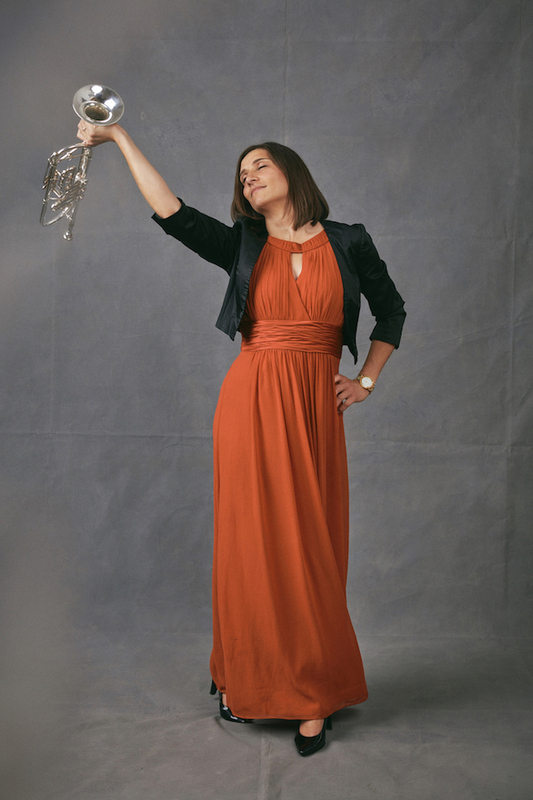 Ms. Fessler also holds degrees in Music Education and Jazz Performance. She performed with the Stuttgarter Philharmoniker in the 2012/13 season, and with the Württembergische Philharmonie Reutlingen in the 2013/14 season. Since September 2014 she has been a full time member of the Harmonic Brass Quintet, giving more than 120 concerts a year. She has released several recordings with the ensemble, including some which feature her own compositions and arrangements. As a guest lecturer, Ms. Fessler has given masterclasses at several universities in the US, UK, South Africa and Germany. 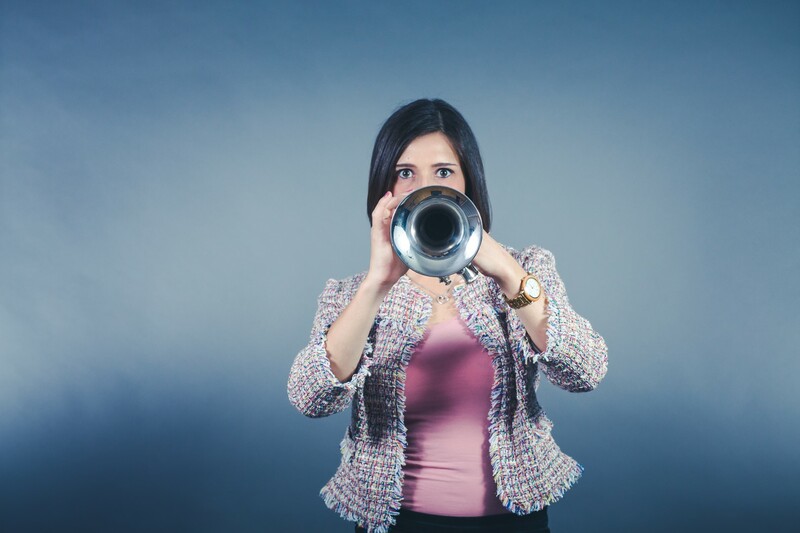 As of 2018, she is Lecturer of Trumpet at the Staatliche Hochschule für Musik Trossingen. Elisabeth Fessler absolvierte ihr Studium mit Hauptfach Trompete bei Prof. Wolfgang Guggenberger. Weiter erhielt sie Unterricht von weiteren renommierten Professoren wie Reinhold Friedrich, Gábor Tarkövi, Kristan Steenstrup, Klaus Schuhwerk und Frits Damrow. Bereichert wurde dieses Studium durch das Nebenfach Barocktrompete bei Prof. Patrick Henrichs. Zusätzlich belegte sie Lehramt für Gymnasien mit Verbreitungsfach Jazz- und Popularmusik an der Staatlichen Hochschule für Musik Trossingen. Für ihre Abschlüsse erhielt sie in sämtlichen Fächern die Bestnote mit Auszeichnung. Orchestererfahrung sammelte Elisabeth Fessler in der Spielzeit 2012/13 bei den Stuttgarter Philharmonikern sowie in der Spielzeit 2013/14 bei der Württembergischen Philharmonie Reutlingen. Seit September 2014 spielt sie als Trompeterin bei Harmonic Brass. Mit dem Blechbläserquintett ist sie bei mehr als 120 Konzerten im Jahr weltweit auf Tour und hat bereits mehrere CD’s mit dem Ensemble veröffentlicht sowie Eigenkompositionen eingespielt. Als Gastdozentin war sie bereits an mehreren Universitäten in den USA, Großbritannien, Südafrika und Deutschland tätig. Seit 2018 ist sie Dozentin für Trompete an der Staatlichen Hochschule für Musik Trossingen. Trumpet player Elisabeth Fessler (Germany, Harmonic Brass Quintet, Staatl. 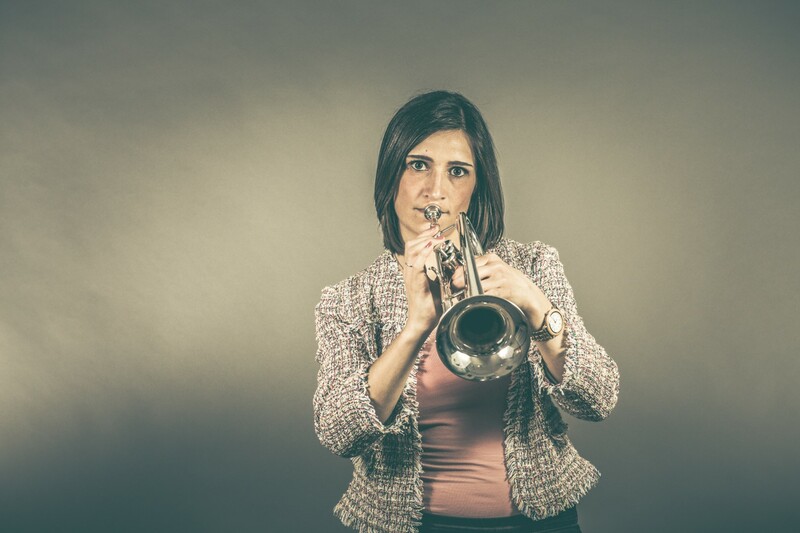 Hochschule für Musik Trossingen) and Trombonist Cristian Ganicenco, (Principal, Cincinnati Symphony and Cincinnati Pops), introduce you to creative and effective ways of playing chamber music. They have set out to prove that playing chamber music has no boundaries, musically or geographically. All musicians hold the key to becoming their own success story, and they will share with you step-by-step instructions on how to develop and improve your technique and musicianship with the help of chamber music and technology. The masterclasses cover a wide range of topics, including how to master your own instruments with efficient practicing techniques, how to spot and fix technical problems and be in complete control of your progress, and how to use the digital audio workstation Pro Tools to do either room as well as multitrack recordings. They will demonstrate how to create music with a loop station, how to record yourself (multi-tracking), and how to play and record chamber music with anyone around the globe from the comfort of your own home. Students will participate in a recording project at the end of the masterclass. Elisabeth and Cristian tour the world as soloists. 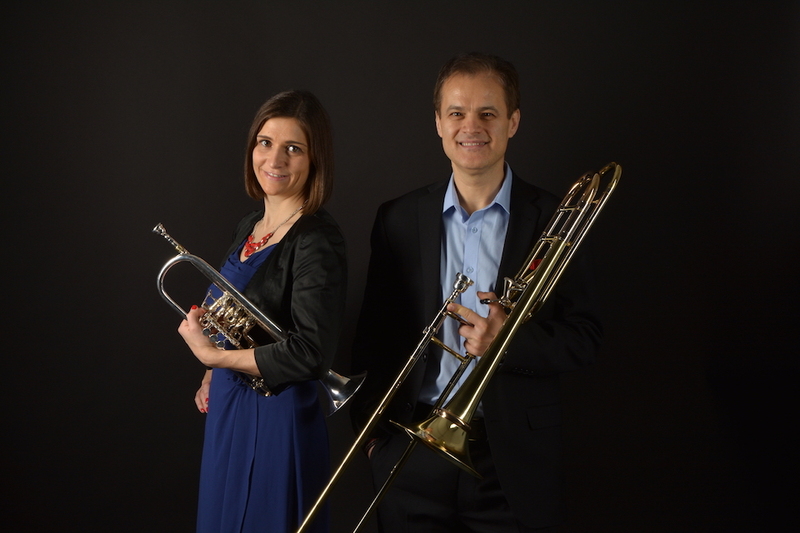 Their repertoire includes original pieces for trumpet and trombone with piano, wind ensemble, or orchestra accompaniment as well as own compositions and arrangements for trumpet and trombone with loop station and solo pieces for each instrument. 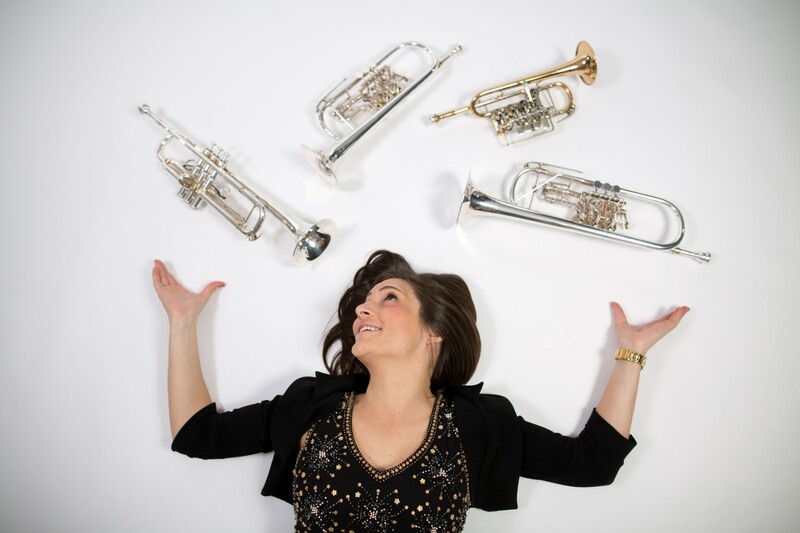 Elisabeth Fessler is a full time member of the Harmonic Brass Quintett, giving more than 120 concerts a year. Check out the Harmonic Brass tour schedule for upcoming concerts. If you are interested in another orchestration do not hesitate to ask!